Those of you with jailbroken iPhones and iPads know well about Cydia - the unregulated by Apple third-party app catalog on iOS. It allows many of the apps you’d never see on the original App Store - tethering application, themes and others, but while Apple’s official store is pretty snappy, on Cydia you’re often forced to wait for quite a while. Jay Freeman, aka saurik, used reddit as the stage to explain why this is so and what’s happening so that it could change. The biggest reason for the slowdown is the fact that Cydia loads its whole database with packages, which is megabytes of data every time, while the App Store only loads 25 apps at a time and offers a load more button for the rest. Now, this allows users to quickly flick through huge lists of packages, and definitely has its benefits. The three main sources of Cydia apps are the BigBoss, ModMyi and ZodTTD repositories, and while they are relatively optimized for the task, the problem has its roots in other repos, hosted by small companies. Turns out, the majority of Cydia users enjoy that exact freedom of adding new repositories, but sometimes those are just not hosted on a reliable server and drag down the loading process. 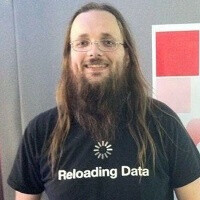 Finally, saurik says he’s working with the big repos to optimize their performance, and is also on your side. Take a look at the explanation below and hit the source below for all the details. the ONLY thing android is missing... is Cydia ! as a 13 year old would say abdane "you just got treated"
I am an IPhone fan but I can tell you that android does not need cydia cause its open source. Only reason you need cydia is to get ur opensourceness going. haha! and i thought he looks more like a rockstar than most of the rockstar wannabes..
Thats kind of what I imagined Taco50 looking like.. except a lil more plump and even more pasty from never leaving his mom's basement. I thought he was cydia developer!! Did ZZ-Top get back together?